If you answered “Yes!” to at least one of the previous questions, then this book is definitely for you! 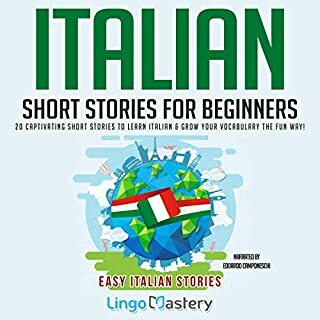 We’ve created Italian Vocabulary Builder - 2222 Italian Phrases to Learn Italian and Grow Your Vocabulary - a powerful list of common Italian terms used in context that will vastly expand your vocabulary and boost your fluency in the “language of music”, as it is romantically called. But we haven’t even told you what we’ve got in store for you, have we? In this book, you will find phrases relevant to the most common and essential subjects, such as: adjectives, animals, entertainment, family and friendship, grammar, health, jobs, time, synonyms, and dozens of other must-know topics. So what are you waiting for? 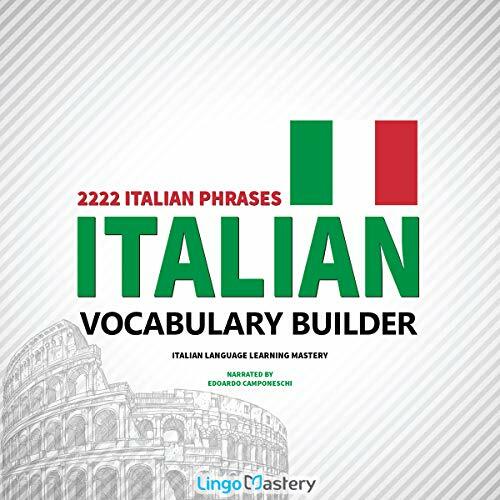 Start listening to Italian Vocabulary Builder - 2222 Italian Phrases to Learn Italian and Grow Your Vocabulary and start boosting your language skills today! Memorizing words by learning with sentences is really effective. I got the free copy of this book last month and have been learning day by day. My Italian vocabulary is becoming richer and richer. There's also a low-speed version of every sentence, it's very useful for those who want to make dictations. However, there are some mistakes in the reading. The order of each article is: Italian word - English word's meaning - Italian slow sentence that includes the word - Italian normal speed sentence - English meaning of that sentence. The narrator skips sometimes one of these steps above. But after all I still gave this book a 5-star review thanks to the idea and author's efforts. 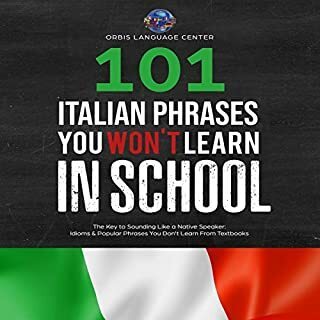 This is an excellent collection of common Italian phrases and vocabulary that I can practice as I commute. 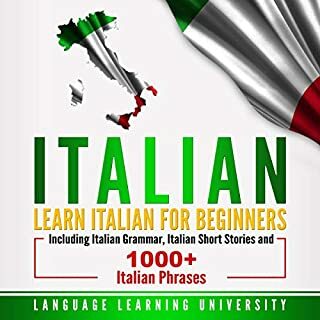 Italian is an absolutely beautiful, flowing language that lends itself well to audiobooks and oral practice, rather than written study. These phrases give context to the most essential Italian vocabulary needed for basic communication. I've very much enjoyed practicing my primitive Italian and improving my fluency. A huge benefit of this audiobook is that you can hear the inflection and cadence of the phrases, and not just try to sound out the word from the written text. The repeated exposure of these phrases, in this well-planned series of language audiobooks, is invaluable to picking up Italian itself. and you want to check out a new language, check this out. You'll be pleasantly surprised at how informative it is. "I was provided this audio book at no charge by the narrator in exchange for an unbiased review via AudiobookBoom dot com". 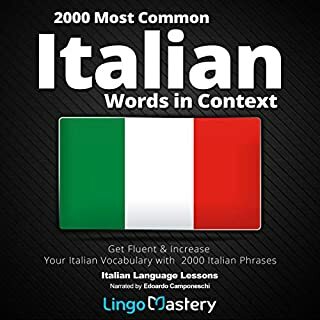 Italian Vocabulary Builder: 2222 Italian Phrases to Learn Italian and Grow Your Vocabulary. I haven't finished this book. Yet. 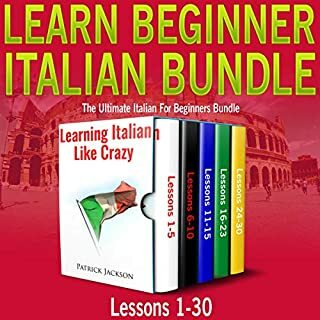 I can recommend it it is a great tool to help you learn Italian. It has become a near constant companion as I drive to work. Warning: you just have to be willing to put in the time and effort in order to get results. It's a book for self-disciplined people who can spend at least half an hour a day to listen and repeat to a whole myriad of sentences. Worked great. Glad I got it. This was a really good book for growing my Italian vocabulary. Another Great Guide from Lingo Mastery! If you are looking to learn how to converse in Italian then this book is for you. It's easy to follow and the narrators make it easy to learn proper pronunciation. Although I've only been listening for a month I have truly started to learn Italian. Lingo Mastery does an excellent job with their language learning books, well worth your time if you have the mindset to learn on your own. This was a really good book for growing my Italian vocabulary. The narrator did a great job! Imagine an audio track that just reads out 2222 words sequentially, without pause, and expects you to just remember them all. There are so-called 'context' sentences. These context sentences are made up of words and grammar that you don't know yet. Just like this waste of money. I have both the audio book and the softback book and find it useful to read and listen at the same time. 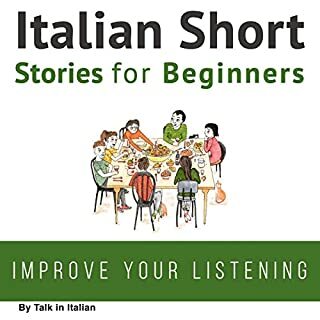 I have only recently started learning Italian but I am finding that listening is an important skill that is aided by audio books. That said, the narrator does get a tad annoying when he gets the number of the sentence wrong but, that's just a minor irritation. The pronunciation is clear, giving you enough time to repeat the phrases. The downloadable pdf is great too as it really helps to read and listen at the same time. Definitely recommend this book for anyone trying to learn Italian.. The narrator did a great job! This was a really good book for growing my Italian vocabulary. This is a very fine introduction to Italian, appropriate for all age levels, and a book much needed at this time in our national status. The narrator did a great job! It's well organized and thoughtfully includes many words, used in context, which will be helpful for a planned trip to Italy. The technique is to expand vocabulary. The specifics of the language are outlined and then the lessons begin.